The Good Food Guide nominations are now open, vote for us in the best local restaurant category. We are tucked away on the upper floor of No 30 Victoria Street beneath the stone vaulting and archways of the original store rooms used by the warren of shops below. Today, its various alcoves and adjoining rooms provide an intimate setting for you to enjoy your meal. One of Edinburgh's finest restaurants, serving beautiful food and delicious wine for 25 years, our story continues to grow. 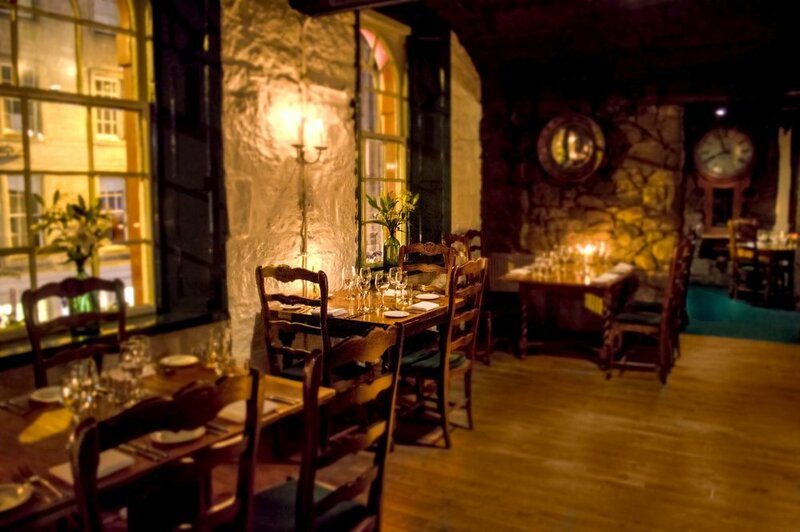 One of the most romantic restaurants in Edinburgh, with soft candle light and old stone walls making this the perfect place to spend an evening with a loved one. A stone's throw away from the castle, the unique atmosphere is further enhanced by the view over the picturesque sweep of Victoria Street and the historic West Bow. At the Grain Store we believe in providing the very best of Scottish Produce. We use only the best local produce: Scottish meat, market fresh fish and seafood, the finest fresh fruits and vegetables in season. We pride ourselves on making everything in house, all of our beautifully baked bread, pasta and delicious desserts are freshly prepared every day by our passionate chefs under the guidance of the brilliant Carlo Coxon. Emphasis lies with quality and we strive to ensure a friendly, honest and efficient service. we love to show off our meals and what's going on behind the scenes. We're a social bunch here in the Grain Store, we love our food and we love to show it off, follow us on Instagram and Twitter to keep up to date with what's happening we'd love to see your pictures and hear your story. Check out the videos below of the man himself, giving away some of his secrets in the kitchen, try these beautiful recipes yourself.